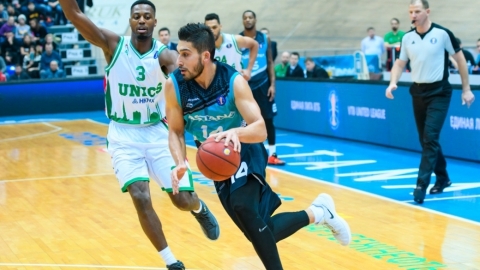 Tomorrow, April 15th, «Astana» will a game on the road in the framework of the VTB United League Championship against UNICS from Kazan. «UNICS» is a Russian professional men's basketball club from the city of Kazan. 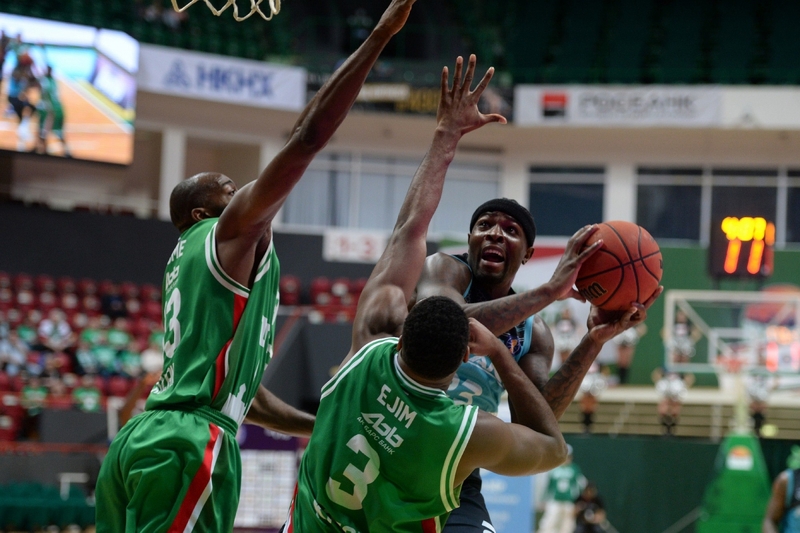 The basketball club from Kazan has been participating in the VTB United League for the ninth season. 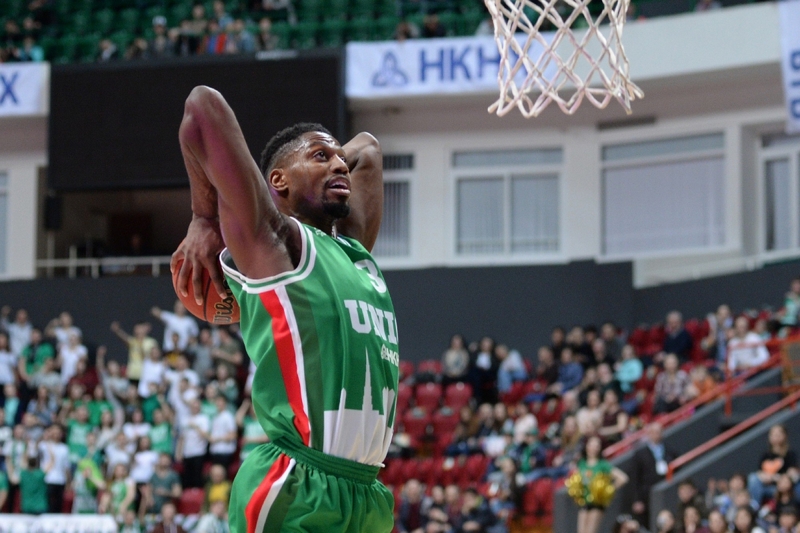 During this time, «UNICS» became a three-time silver medalist of the VTB United League, and also it has the bronze award of this tournament on its account. 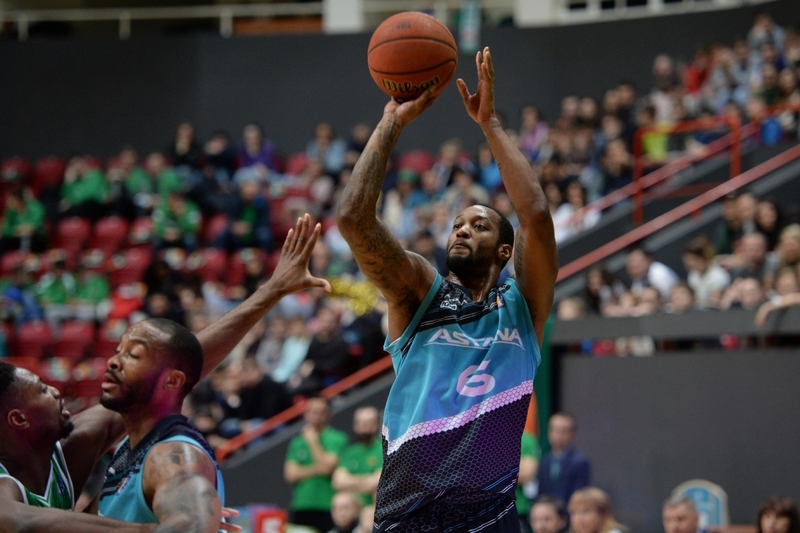 As for personal games with «Astana», the teams met on the court 11 times. Only once the capital club was able to defeat Kazan in the home game with a score of 87:67 in the 2014/2015 season. 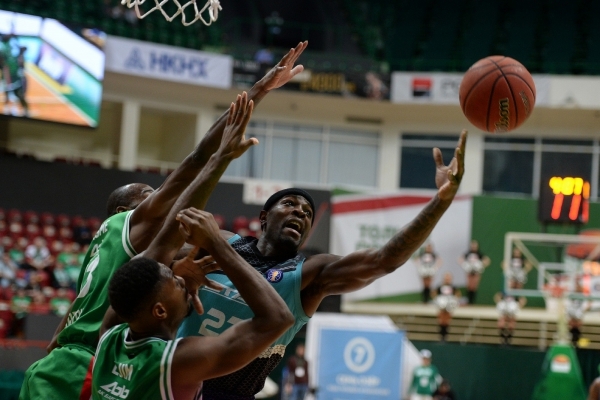 This year the teams have already met in Astana when in overtime the capital's club lost to Kazan with a score of 78:73. 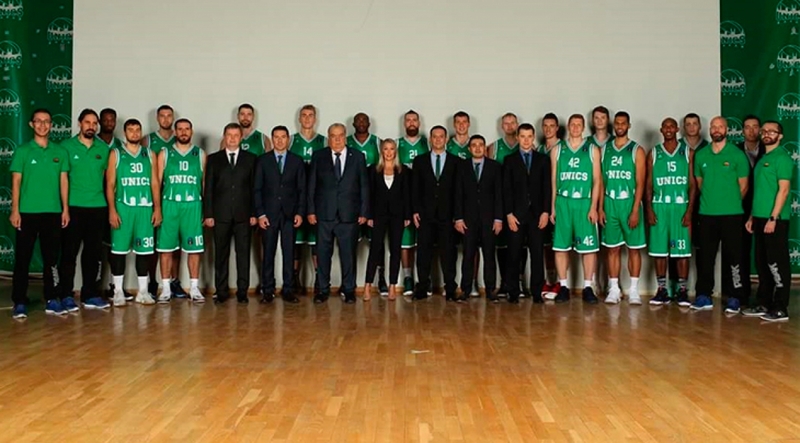 The coaching staff of the Kazan club is headed by the Greek expert Dimitris Priftis. The team has at its disposal a substantial number of good performers, such as the center from Gabon — Stefan Lasme, who gets 15 points on average for the game, defender Jamar Smith, who brings in 14 points. The player of a National Team of Spain Huakin Kolom pleases the fans for the third season and who as a part of the Kazan team became the silver prize-winner of the Championship of Russia and the United League VTB. 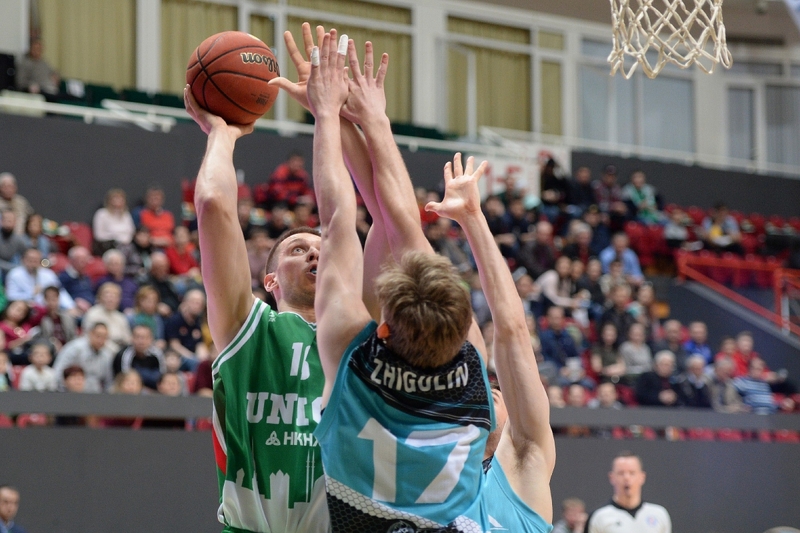 Basketball club «UNICS» takes the second place in the standings of the VTB League with the result of 17 wins and 2 losses. Basketball players of «Astana» are on 11 place, with an asset of 6 victories. «UNICS» is a team that always claims for the highest places in all tournaments in which they participate. 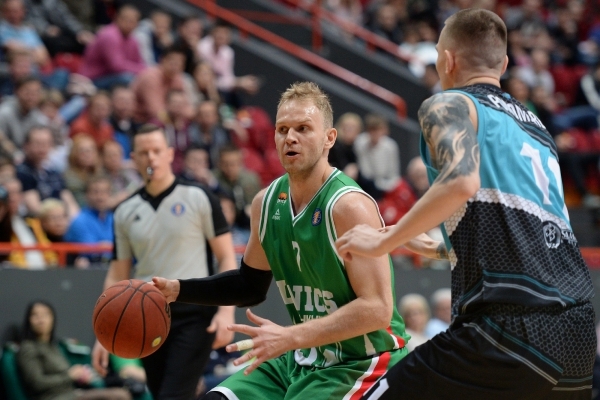 This season «UNICS» plays very confidently, having suffered only two losses in the VTB League. 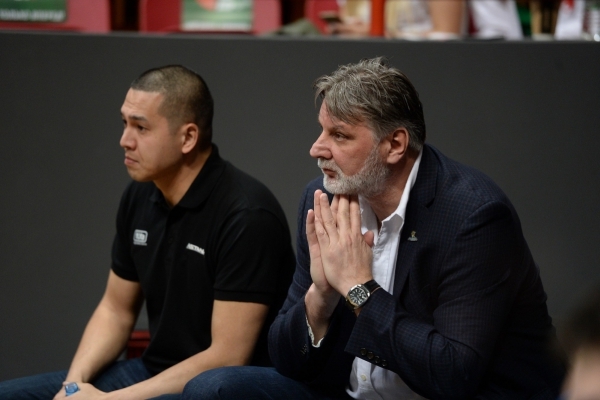 In the offseason the team was created for certain tasks, I think this task was getting into the Euroleague and so accordingly the budget of this team and the selection of players were such as to achieve the set goal. Unfortunately, the team has not quite succeeded in the Eurocup and was unable to participate in the final games. 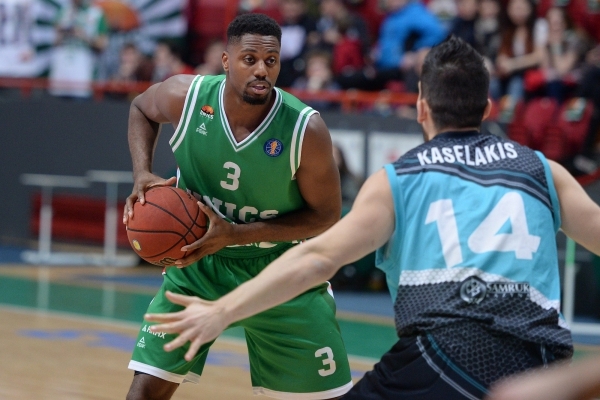 Therefore now the team's efforts are focused on achieving results in the VTB League. 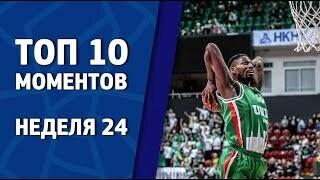 In order to get into the Euroleague, the team needs to take either the first place in the tournament or enter the finals, provided that in this final there will be CSKA. 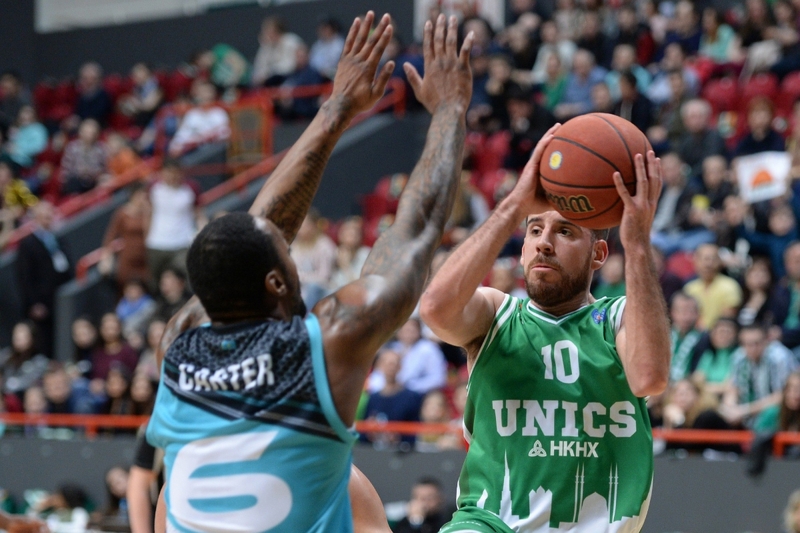 We understand that in connection with these tasks, every game for «UNICS» is crucial, they will not allow anyone to relax and will play at home only to win. However, I can say that we had a good match against «UNICS» at home and the team can clearly see that we can fight for a victory. 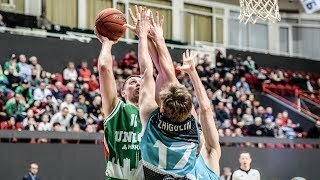 «UNICS» is a fairly well-organized team where six foreign players who play the first fiddle, plus the experienced Russian player Anton Ponkrashov and several Russian players complete the rotation with certain role functions, such as Vladislav Trushkin, Evgeny Kolesnikov Andrei Koshcheev, all of this makes «UNICS» a very strong team that has a variety of attack combinations and are confident enough in defense. It will not be easy for us, but I repeat, if we fulfill the game plan and put all our efforts on the court for 100%, we will have chances to compete with «UNICS» for victory even on the road. We have nowhere to retreat, we will continue to struggle for the playoffs and therefore every remaining match will be for us as a game of survival. Where, when, at what time? Broadcast: VTB United League website, site of BC «Astana». Despite the packed schedule of on-the-road games, Astana basketball players flew to Kazan with one goal — to be rehabilitated after a series of unsuccessful games in the VTB League. But the miracle did not happen, although «Astana» and got on the hosts' nerves. Already from the first minutes of the match, the Astana players went on the attack. 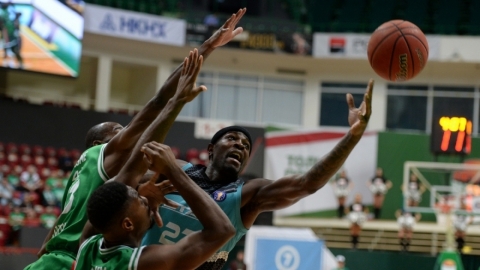 And though Kazan opened the score, «Astana» did not take long to wait — Ike Udano scored 2 points. The hosts did not hurry to catch up and calmly cruised through the game, and imperceptibly for them, the first period came to an end with a score 23-27 in favor of «Astana». In the second quarter «Astana» started again actively attacking the opponent. By the middle of the period, the guests had a good advantage of +10 points. 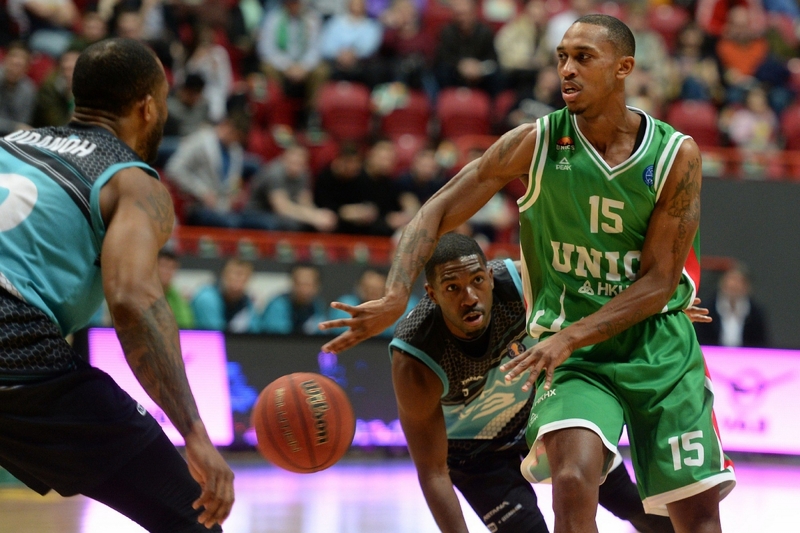 This situation clearly did not suit the hosts, and «UNICS» tried to change the game. And by the end of the period, Kazan team managed to bridge the score difference a little, but by the big break, «Astana» still remained ahead — 41:53. In the third quarter «Astana» continued to increase the pace of their game, but the opponent began to get nervous: during the whole period the guests kept the difference of 10 points, but by the end, the hosts reduced the backlog with a score of 66:67 as the result of the third period. The final quarter of the game was the most intense. 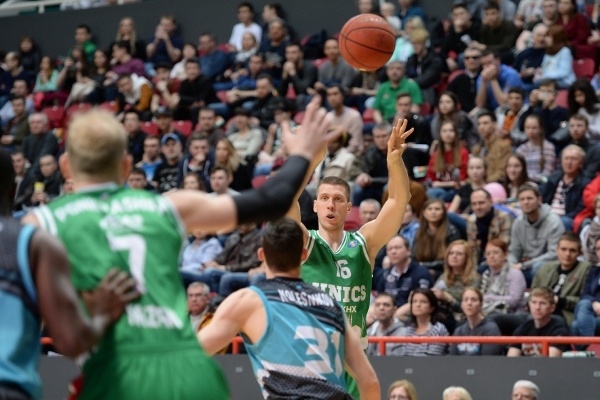 «UNICS» started the game aggressively, attacking with accurate three-pointers. But the capital club, unfortunately, began to make unforgivable mistakes, for which in the end they had to pay. 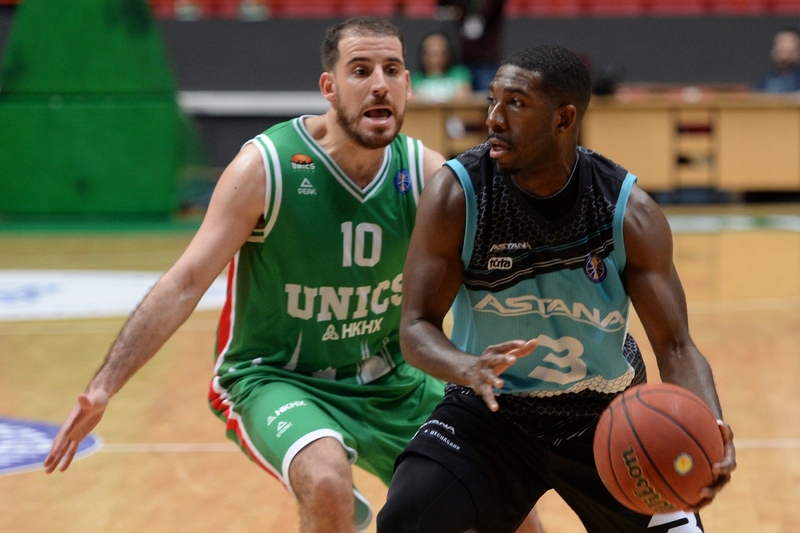 In a stubborn struggle, «Astana» lost to «UNICS» with a score of 90:75. Justin Carter became the best player of the match who scored 23 points + 5 rebounds, Malcolm Grant brought 11 points, Ike Udano — 10 points + 11 rebounds. «We did quite well in the first half, including the game in attack. It is very good to score «UNICS» more than 50 points, at the same time we defended well, Kazan had only four free throws. So we coped well on every aspect. The only problem we have identified in the locker room: the rival mercilessly punishes for losses. We had six losses after the first half and «UNICS» managed to score 11 points after them. Unfortunately, this trend continued in the second half, we made stupid losses and UNICS continued to punish us time after time. As a result of our mistakes, the rival scored 28 points. It is impossible to win a match when you do so many losses, and the rival uses it for its own good. In defense of 5 to 5, we did not look so bad, we followed the game plan and were quite competitive. But we allowed the opponent to score too many easy points. 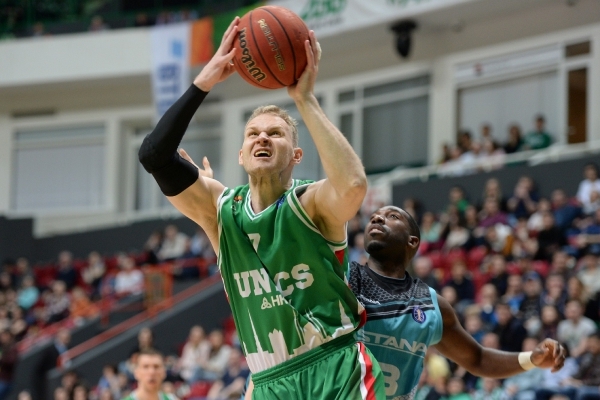 Congratulations to «UNICS» on the victory, this is a huge experience for us. We have three more games, and we still stand a chance to improve the situation and compete for the playoffs. 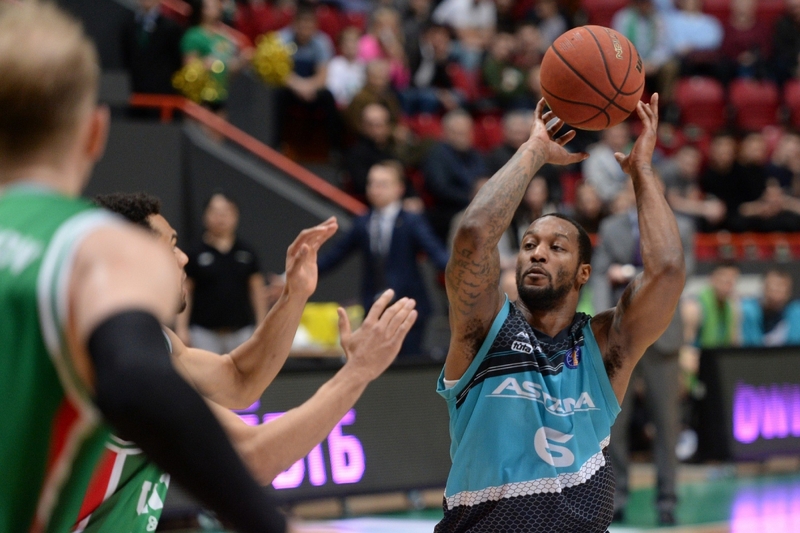 The next match of «Astana» within the framework of the VTB United League will be held on its court, on April 22 Astana basketball players will receive the Estonian Basketball Club «Kalev». 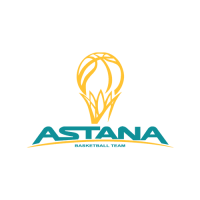 Astana basketball players flew to Kazan with one goal — to be rehabilitated after a series of unsuccessful games in the VTB League. But the miracle did not happen, although «Astana» and got on the hosts' nerves. 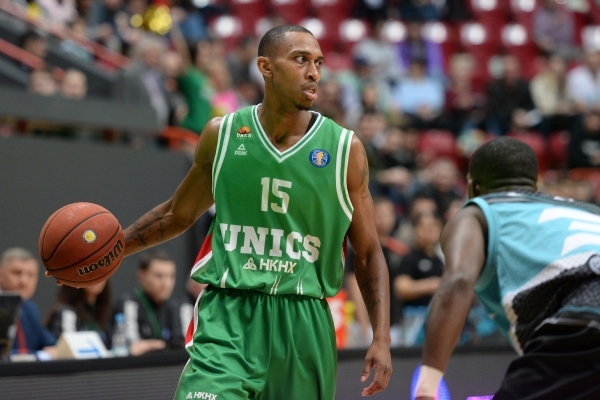 UNICS - is a Russian professional men's basketball club from the city of Kazan, founded in 1991.